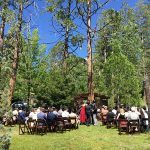 Are you planning an wedding or group gathering in Idyllwild, in the San Jacinto Mountains? 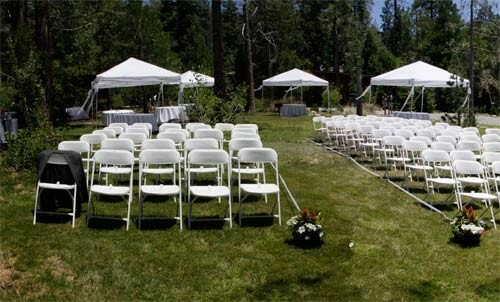 Our beautiful grounds at Woodland Park Manor may be just the location you are searching for! 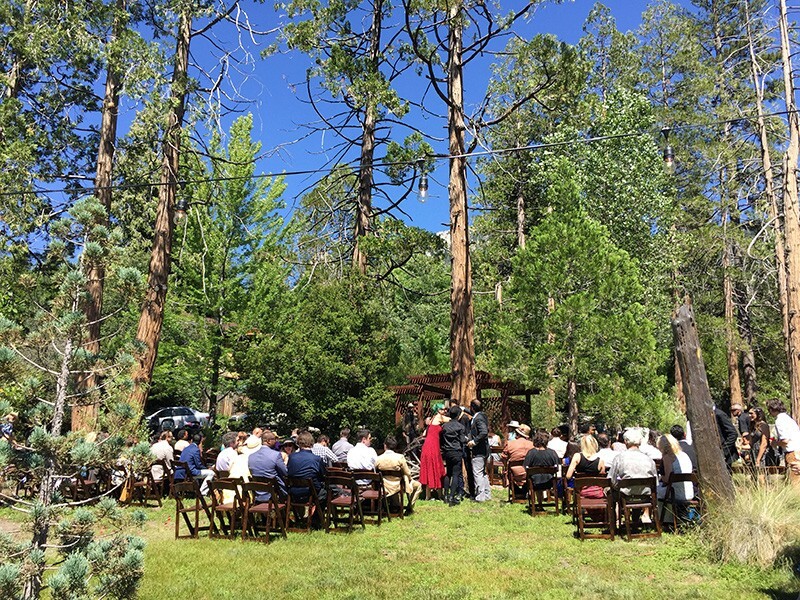 Woodland Park is a beautiful choice for your small, intimate outdoor wedding in Idyllwild! 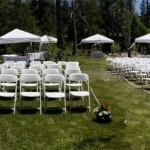 Our park and pool offer a natural, wooded setting for your ceremony and reception. 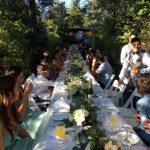 We can host up to 50 people for your event. 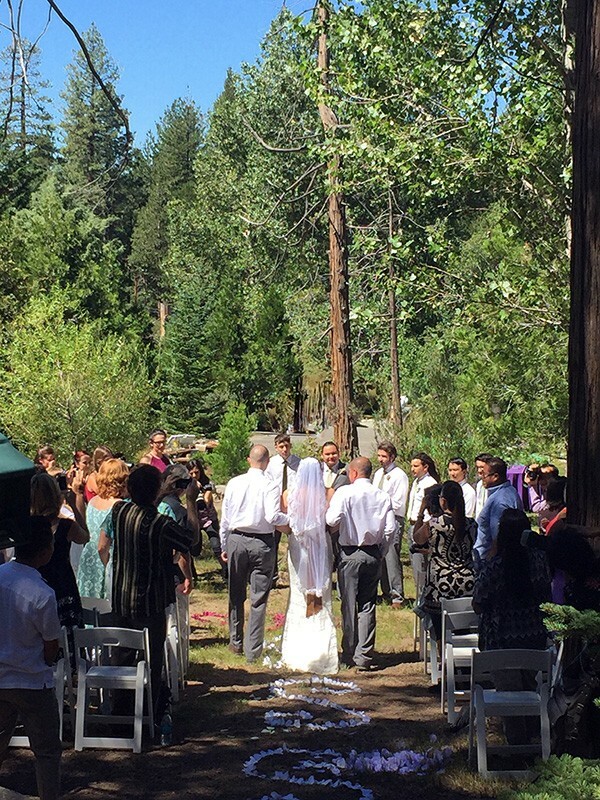 When you plan your Idyllwild wedding at Woodland Park, you will have all our Cottages reserved for your group. 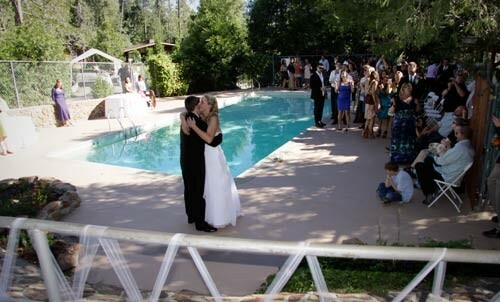 Our park area and our pool will be all yours to enjoy….to arrange as you like for your special day. 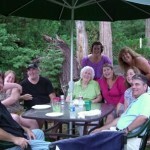 Our Cottages, accommodating up to 32 people, allow your wedding party, family, and friends to stay close by. 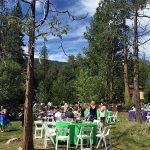 Our 2018 price of $4,500 includes two night’s lodging in our Cottages as well as the use of our grounds for your event. 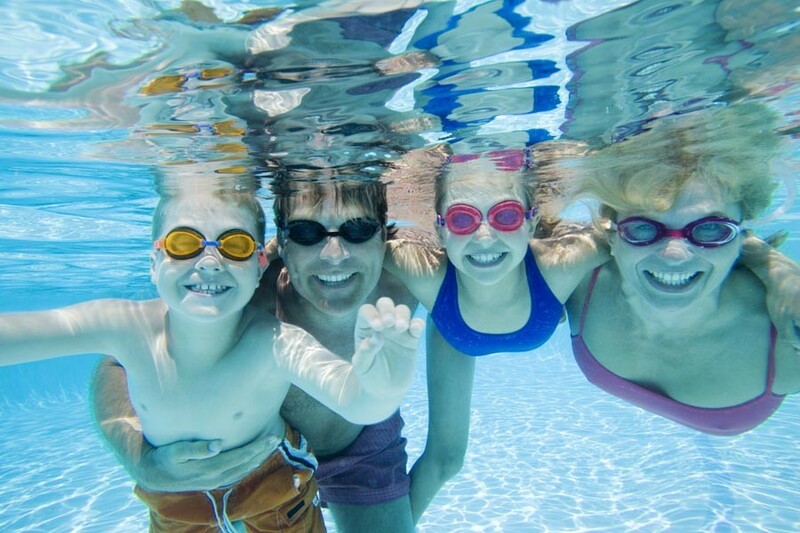 If you need more accommodations, we also have Vacation Rental Cabins to offer. Your celebration is yours to plan as you like. 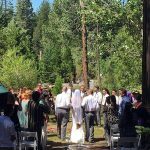 We have had formal ceremonies and fully catered receptions with linen and crystal and we have had casual weddings with BBQ food trucks and picnic blankets on the grass. And each one is beautiful! Music is welcome at a low background volume. Sound carries surprisingly well in the mountains! 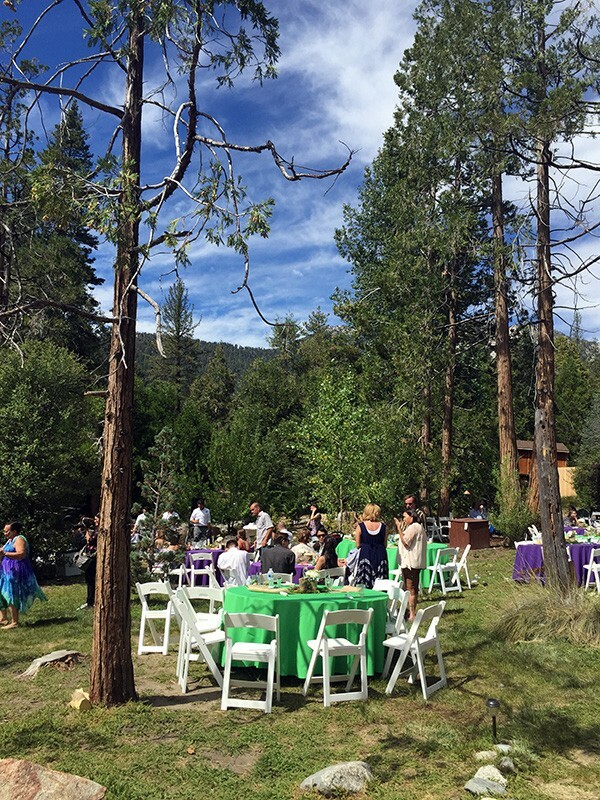 DJ’s and loud dance party music are not compatible with the peaceful mountain environment that our residents and visitors come to Idyllwild to enjoy. We ask for quiet by 9:00 pm. 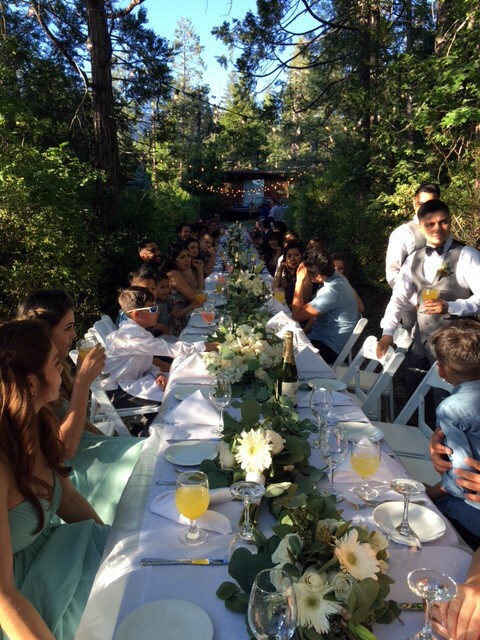 We can recommend local businesses to help you with photography, wedding cakes, catering and more for your perfect Idyllwild wedding. 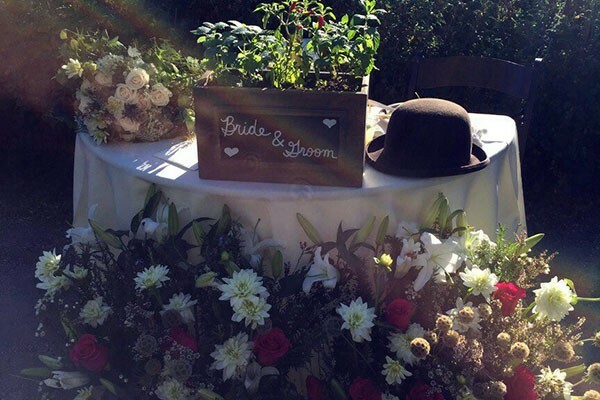 We look forward to doing all we can to make your wedding day perfect for you! 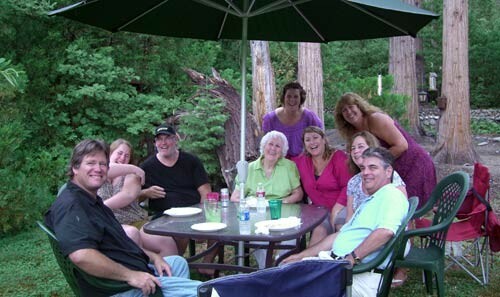 Every year, our guests plan group getaways here at Woodland Park. 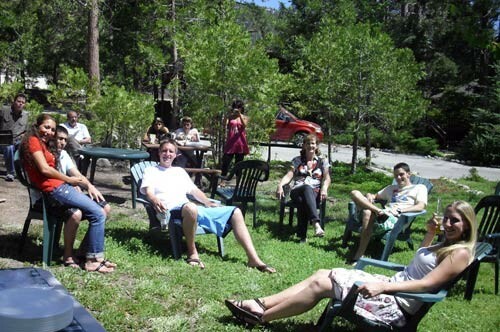 Family reunions, art groups, friend retreats, business, school and church groups gather here and enjoy time together in our beautiful wooded setting. 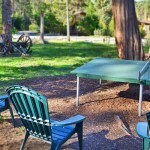 Our Cottages, looking out into our park, offer lodging for up to 32 people. 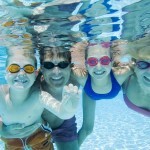 We offer Vacation Rental cabins as well, if you need more accommodations. 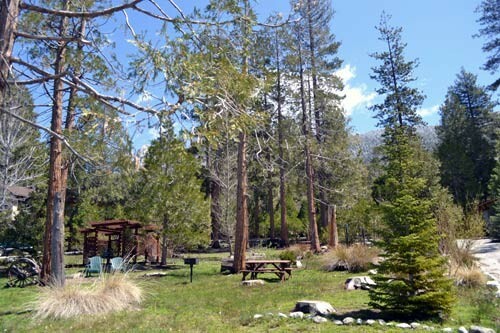 Our park is a wonderful spot for outdoor gathering, games, bbqing and enjoying the forest! 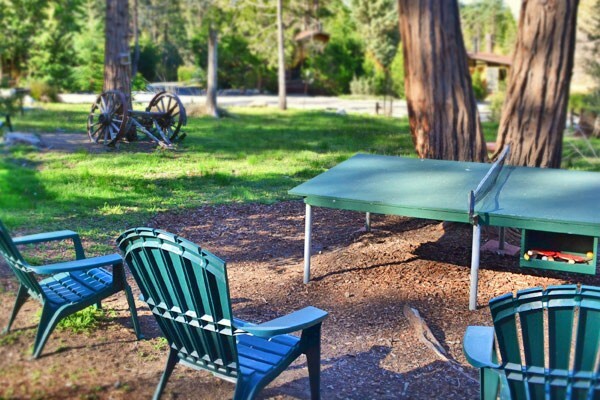 Play Ping Pong, horseshoes or just relax in the woods. 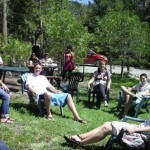 Our Pool in the Pines offers another special spot to gather and enjoy! 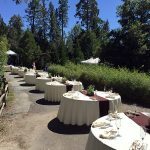 We are a short walk to the village for those who want to shop, visit a local restaurant or art gallery or see a movie at the Rustic Theater. 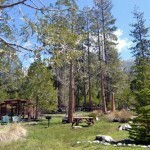 We are close to many miles of hiking trails as well. 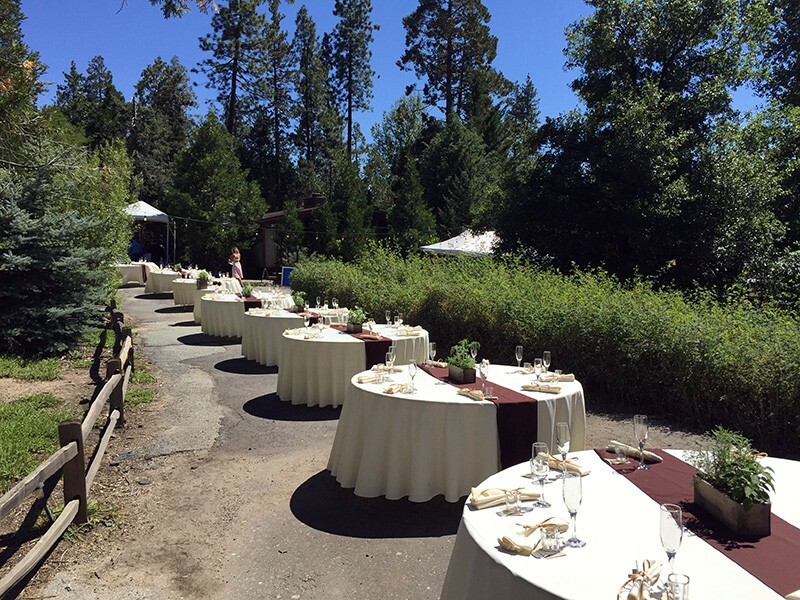 Plan your next gathering at Woodland Park and we will do all we can to make your event special!